To increase flow rates at its water treatment plant to meet rising demand, the City of Hot Springs needed to upgrade its antiquated filter controls as well as the filters themselves. Brown Engineers helped the City use its recently installed Ignition SCADA platform to dramatically improve the automatic backwash process, conserve water, improve water quality, and initiate collection of filter data needed to extend regulatory run-time limits. The main water treatment plant in Hot Springs had nine filters critical to its treatment process couldn't achieve the flow rates required to meet future production goals. Also, the filters' flow control wasn't accurate enough, and antiquated push-button operation consoles presented training challenges for new personnel. In addition, major process changes must be completed during the few months when water usage is low, because the rest of the year, the plant must operate at near-capacity to meet demand. Engineering analysis determined that the filters required structural rehabilitation to address the hydraulic problems, and that additional instrumentation and controls were needed to meet performance goals. For construction, this was a rehabilitation project. From an automation standpoint, it was a new installation. This let Brown use an integrated approach from the PLCs to the SCADA system. Brown Engineers had already implemented a redundant Ignition Gateway Architecture at the facility, so it was critical that the new systems interoperate with Ignition. The Bedrock Automation PLCs selected for this project included an Integrated Development Environment (IDE), but no software components or libraries, so Brown began by designing components for analog and digital inputs and outputs. These analog and digital I/O components were then used to create analog and digital control elements for controlling equipment such as control and isolation valves. These control elements were then used to create composite control elements for entire filters. Since the Bedrock IDE is based on CoDeSys, an industry-leading IEC 61131 platform, an object-oriented implementation approach was possible. Using this methodology, common design elements were grouped into functional units, then extended to provide more specific functionality, virtually eliminating duplicated code throughout the application. In addition, relatively minor extensions were required to allow the PLC to simulate control inputs so the system could be extensively tested without physical I/O. Because simulation was added by extension instead of modification, there was no risk of the simulation code interfering with the production code. During the PLC development process, Ignition UDTs and templates were created for each PLC element using the same object-oriented approach. These basic elements were then combined to create composite control elements for entire filters and linked together to create data structures and visual templates that essentially required one unique parameter: the filter number. This modular approach also streamlined incremental development; a new parameter could be added to the object definition in the PLC, the corresponding UDT, and the corresponding template. Once changes were saved, the Bedrock IDE and Ignition automatically made the required changes to each instance of these objects, eliminating the configuration management nightmare typical of a traditional copy/paste/edit approach. One of the most challenging aspects of this project was the requirement that each filter perform an automated backwash sequence of 31 steps. A simulation of one filter was used to develop the basic functionality for flow control and auto-backwash. After the automatic backwash sequence was tested with the internal simulator, an external simulator was developed on another PLC that included more realistic analog inputs and outputs with noise. The I/O of the two systems was then interconnected to perform end-to-end “real world” simulation. All testing was done with a single instance of the PLC and Ignition “filter” blocks. Each PLC was required to control three filters, so in order to prepare for deployment, two copies of the filter block were made in the PLC and two copies of the filter UDTs and templates were made in Ignition. That’s it. The project stakeholders were invited to interact with the system simulation months before the equipment was delivered to the site. This included full auto-backwash sequencing. Changes to the sequence were identified during simulation and implemented before deployment, resulting in no major changes to the automatic backwash sequence after deployment. The automatic backwash process is now reliable and uses less water, which improves efficiency. Backwashes are now accomplished quickly with a touchscreen, instead of lengthy sessions at a “sea of switches” console. Flow control has been remarkably steady, improving water quality. The City is pleased that the improved performance exceeds expectations, and that Brown's phased approach accommodated both water usage demands and a tight construction schedule. In addition, historical performance data is now being collected for the purpose of requesting extended filter run times from the regulatory agency, which should result in additional cost savings and capacity improvements in the future. Brown extended the object-oriented approach inspired by Ignition technology to the PLC. The overwhelming success of this project puts Brown in an advantageous position to win an upcoming project for a new water treatment plant at Hot Springs. This project also demonstrates how well Ignition, with its versatility, scalability, and reliability, works with the ultra-performance Bedrock Automation PLCs used in this project. Brown Engineers has paired Ignition and Bedrock at four Arkansas utilities. Without exception, these projects have exceeded expectations for performance, reliability, built-in security, and ease of use. 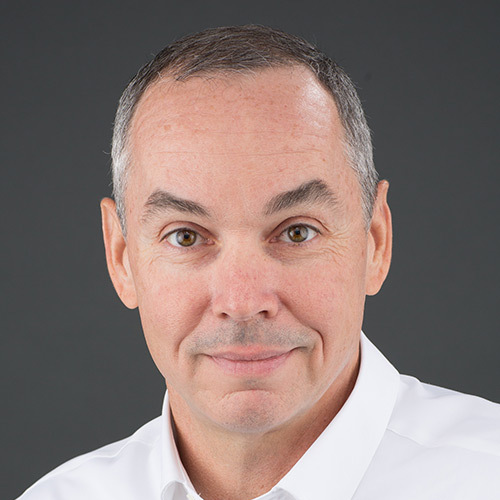 Sam is vice president of automation at Brown, and has over 30 years of SCADA expertise, ranging from remote monitoring apps for smartphones to utility-wide HMI migrations. The first program he ever wrote was stored on a cassette tape! Technology has advanced somewhat since then, but so has Sam, who thrives on keeping up with the next big thing. Little Rock-based Brown Engineers, a Certified Premier Integrator for Ignition, was launched in 2006 by electrical engineers who specialize in power distribution, automation, and electrical systems for utilities and other clients with demanding operational needs. Twelve years later, Brown is a mechanical, electrical, and automation engineering firm with a staff of 20 and a reputation for innovative, award-winning design. Hot Springs, located in the Diamond Lakes region of the scenic Ouachita Mountains in central Arkansas, is a vibrant, progressive community of about 100,000 residents. The City is the seat of Garland County and home of America's oldest national park. Its rugged terrain features big lakes, thick forest, steep hills, and deep ravines. This is great for outdoor recreation and nature lovers, but tough on the city's water/wastewater utility, which relies on over 3,000 residential grinder lift stations and 18 generator installations to maintain operations.